9:28pm – Cee-C, Khloe and Nina are in the garden having a conversation. 9:15pm – Housemates are having their dinner. 8:28pm – Week 9’s live eviction show comes to and end..
8:15pm – Teddy A is evicted from the Big Brother Naija house. 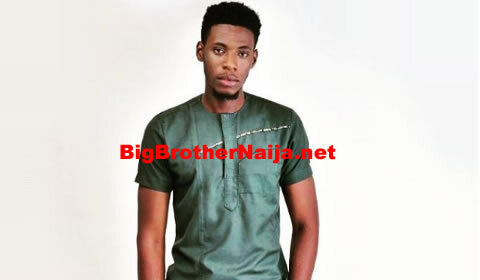 7:49pm – Bambam who was evicted from the house last night is on the Big Brother Naija live stage right. 5:15pm – The housemates are all in the lounge presenting their art pieces dedicated to the Super Eagles (Nigeria’s Men’s Football Team). 4:30pm – the housemates are in the garden. 2:02pm – Lolu is in the closet room ironing. 1:35pm – Anto is giving Alex a hairdo. 12:41pm – Miracle is cleaning the kitchen floor. 12:38pm – Cee-C is cleaning the lunge floor. 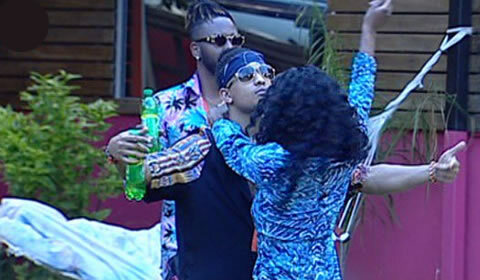 12:36pm – Teddy A is cleaning in the garden. 12:24pm – Rico Swavey is sweeping and cleaning the house. 12:10pm – Nina is washing dishes. 12:01pm – Khloe and Nina have a cat fight after the former confronts the latter about the soap she left in the bathroom and Nina retaliates, saying that giving Khloe attention is like awarding a scholarship to a goat. 9:15am – Housemates have began waking up. 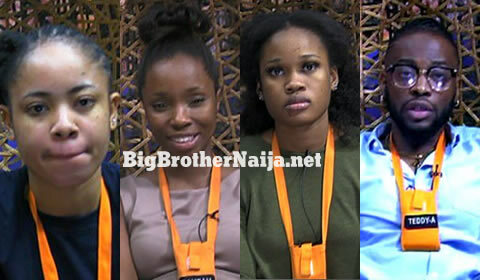 Good morning to you all and welcome to day 63 of Big Brother Nigeria Season 3, follow today’s Live Feed Blog for all the latest updates. You can as well check out yesterday’s highlights Here.